Spring is here and it’s time to plant some flowers and vegetables. There are miracles and the promise of food and joy in the seeds. When we witness the first signs of life pushing up from the ground, it’s as if God is interrupting us just to “get our attention.” Just putting the seeds in the ground is usually not enough to ensure good results. We need to fertilize and water them to get the blossoms and fruits of our labor. Ignoring them may produce something, but we know nurturing our flowers and vegetables can produce much better and satisfying results. Stewardship works in much the same way. The programs and worship opportunities available at the Church of the Holy Spirit are the soil to plant our seeds of time, talent, and treasure. When we encourage each other to participate in these activities, our parish grows and flourishes. So, start planning how your garden will grow… plant some seeds to help a parish project, join a committee or ministry, participate in a parish fellowship opportunity, invite friends to worship with you… and watch how you grow and flourish in God’s love and warmth. In all that they do they prosper. Do you want to make a financial pledge to The Church of the Holy Spirit? Contact the Parish Office and we will send you a pledge card. This entry was posted in Stewardship on April 18, 2014 by Beth Dunn. A promise is a statement given by someone that he will do as he said. A promise is typically a two-way action between at least two people. Even a promise to ourself to exercise more or eat less is a two way process…our thoughts drive our actions. 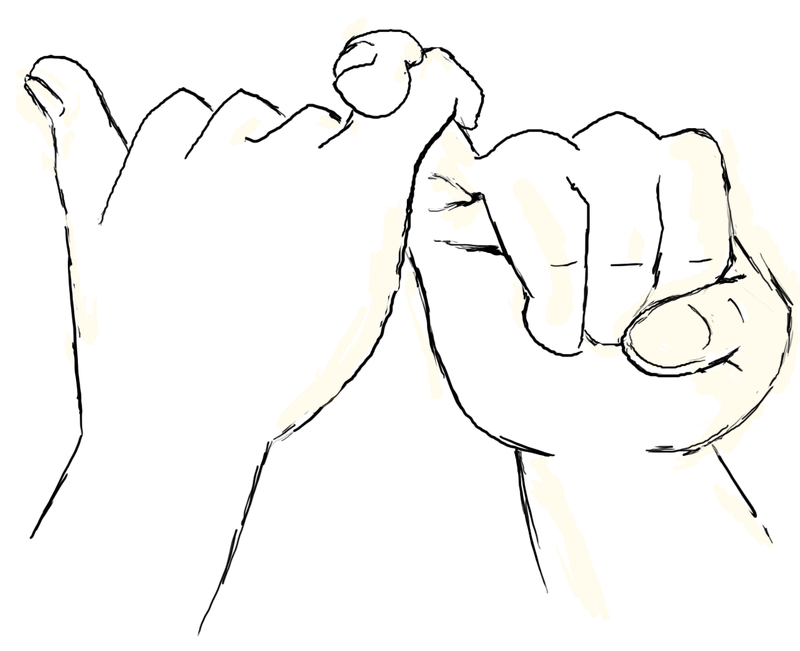 Common synonyms for “promise” are commitment and pledge. Physicians commit to “do no harm” through the Hippocratic Oath. We pledge allegiance to the flag which is a promise of loyalty, honor and obedience to the symbol of the United States and therefore to the freedoms we are blessed to have. A pledge to a parish to financially support their mission is a promise to parishioners and God. During Lent, many of us “give up something” that we enjoy…candy, alcohol, going out to dinner, etc. When we want what we have “given up”, we are reminded of all Jesus gave-up on Good Friday to save us. During this Lenten season, instead of “giving up something”, would you consider making a promise to “do something” that would benefit the church or a parishioner? Then, as we fulfill our promises, we would be reminded of all God promised us by giving us his Son, Jesus. Do you want to make a Promise to financially support The Church of the Holy Spirit? Contact the Parish Office and we will send you a pledge packet. This entry was posted in Stewardship on March 17, 2014 by Beth Dunn. As of Monday, November 19, the Church of the Holy Spirit has received a total of 110 pledges for $206,146, including seven new pledges. Thank you to all who have pledged! Your support makes a difference. If you did not receive a pledge packet, please contact the parish office or pick one up in person at the reception desk. Pledges received already were blessed at Sunday’s in-gathering service, and there will be an additional opportunity to bless pledges next weekend. Pledges received after December 2 will be individually blessed. Thank you for returning your pledge! This entry was posted in Stewardship on November 26, 2012 by Beth Dunn.